One in 10 children ages 19 and under will be seen in an emergency department for a non-fatal unintentional injury this year, according to Safe Kids Worldwide. With the goal of reducing the number of preventable injuries to children, Safe Kids coalitions around the world work year round to raise awareness and educate the public on how to protect kids from unintentional injuries. 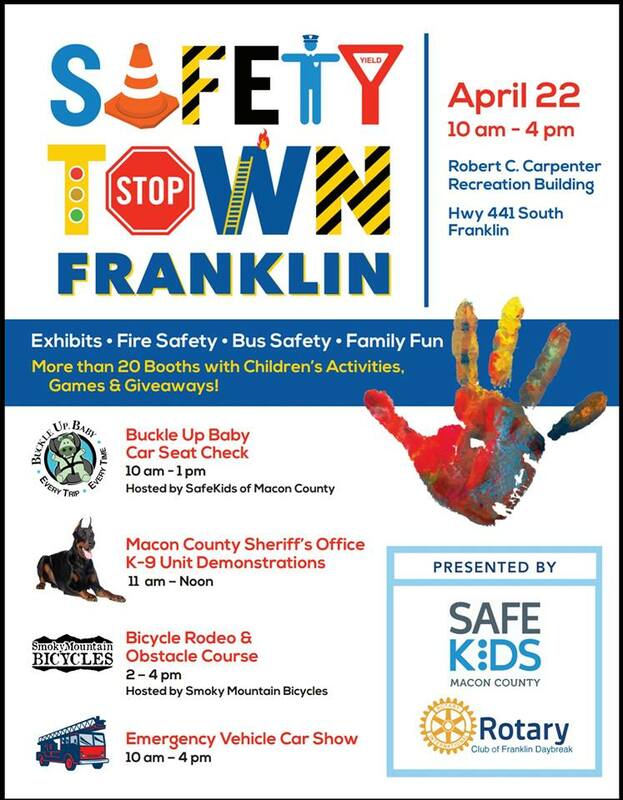 Safe Kids Macon County has teamed up with the Rotary Club of Franklin Daybreak to host a Safety Town Day on April 22. The day-long event will be all things kids, and all things safety. 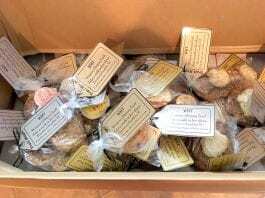 According to Safe Kids Macon County Coordinator Deputy Josh Stewart, nearly 30 businesses and organizations will be on hand with safety information, free giveaways, and activities for the community. 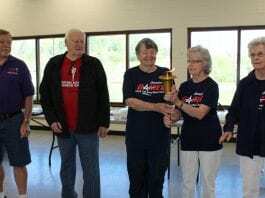 The sheriff’s department and Franklin Police Department will be hosting a medicine take back event to give residents a chance to properly dispose of their unwanted medications. Safe Kids will also have free gun locks for the community. 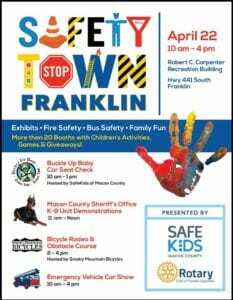 In addition to the businesses and organizations participating in the Safety Town Day, Safe Kids Macon County will be hosting four main safety events. 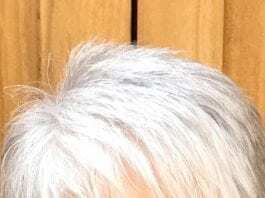 The free event is scheduled to take place on Saturday April 22 from 10 a.m. to 4 p.m. at the Robert C. Carpenter Building parking lot located on the Georgia Road on 441 South.